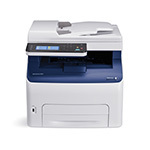 ColorQube 9300 series Solid Ink colour multifunction printers feature Xerox® ConnectKey® Technology that can easily, securely and intelligently manage documents in today's increasingly changing work environments. The ColorQube 9300 series also offers dramatically reduced cost of colour with the three-tier pricing plan that makes colour affordable for everyone, while providing a compelling environmental message with fewer consumables and Solid Ink sticks with no cartridges. 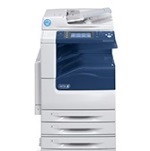 Its small A3 footprint and quiet operation make the WorkCentre 7200i series colour multifunction printer ideal for small workgroups and customers printing an average of 5,000 pages per month. 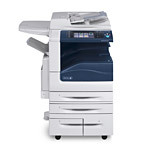 Powered by Xerox® ConnectKey® Technology, the WorkCentre 7220i/7225i gives you practical solutions that easily streamline how you communicate, process and share important information. It simplifies complex, paper-driven tasks, and drives down costs while keeping your data secure. 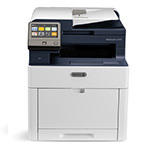 The Xerox® WorkCentre™ 6655i Colour Multifunction Printer, enabled by Xerox® ConnectKey® Technology, is built for the way you want to work. From cost control and energy savings, to cloud-based scanning solutions and data security, the WorkCentre 6655i offers small and medium businesses access to the same solutions typically reserved for larger enterprises. The ColorQube 8700 multifunction printer offers environmentally preferable features, unbeatable ease of use, consistently exceptional image quality and affordable colour printing. 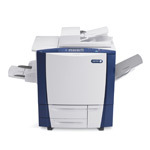 Powered by the Xerox® ConnectKey® Technology, the ColorQube 8700 simply and securely streamlines how you communicate, process and share important information. It simplifies complex, paper-driven tasks, drives down costs and keeps your data secure. 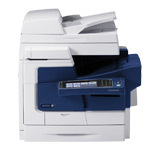 With the Xerox WorkCentre 7525/7530/7535/7545/7556 multifunction system, you’ll achieve high-impact colour documents that impress customers and deliver results — while minimizing costs. Plus, the WorkCentre 7525/7530/7535/7545/7556 multifunction system is engineered to give you the reliable operation you demand, with a value-packed lineup of standard features and functions. The first Solid Ink device completely engineered for true desktop multifunction performance, the ColorQube 8900 colour multifunction printer delivers real cost savings, environmentally preferable features and exceptional colour quality. Powered by Xerox® ConnectKey® Technology, the ColorQube 8900 simply and securely streamlines how you communicate, process and share important information. It simplifies complex, paper-driven tasks, drives down costs and keeps your data secure.